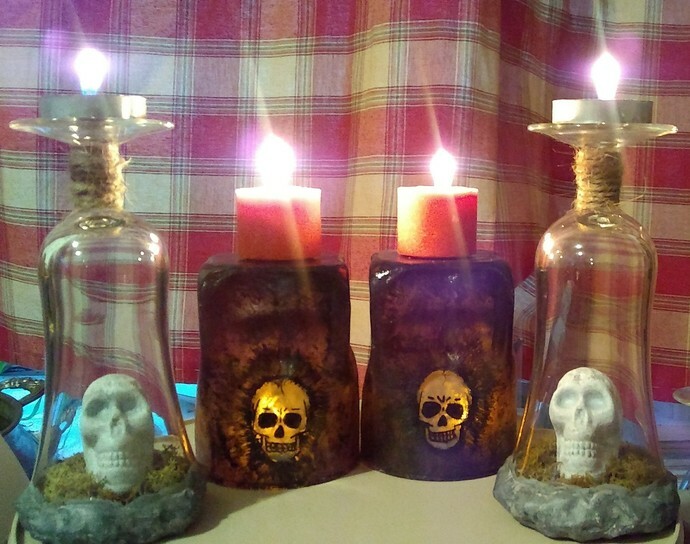 These candles holders have a uniqueness like no other. From the cubed shape to the distinctive paint effect, these are one of a kind pieces. A must have for any skull collection. Add a tea light or votive candle and enjoy the glow. For an added touch, add an LED tea light or string lights underneath.